After many months of development and beta testing the time has come for an official announcement. November 1st will be the release date of the new Brekel Pro Pointcloud 2 and Pro Body 2 applications. Both have been rewritten from the ground up specifically for the new Kinect for Windows v2 sensor and make use of its boost in data fidelity & quality. The v1 applications will be lowered in price to $79, effective immediately. Hello Jasper, maybe I have a project for you. We need solution where we have to manage multiple sensors for the 3D real time dynamic capturing of the object in motion. I would like to share the information with you and to discuss technical details regarding how we can cooperate. Could you send me please an email with your contact details? 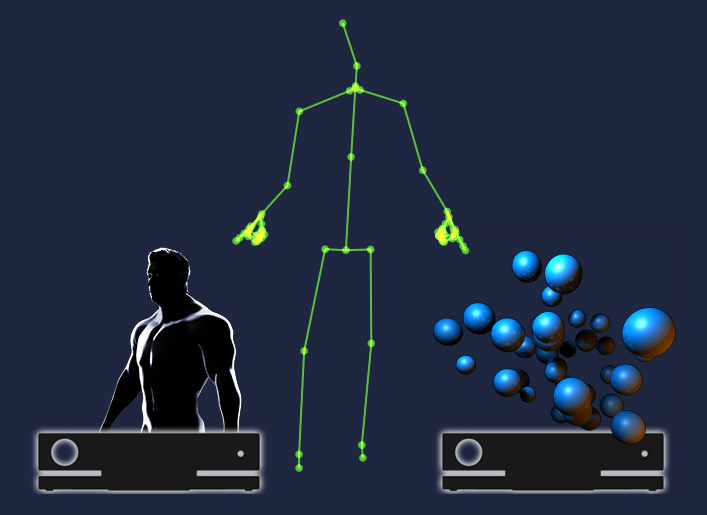 i want to use two kinect v2 real time shape game. All apps use a single sensor at the moment but I’m working on a multi-sensor add-on solution for the future. Simply run the software on 2 machines and use “Record Triggering” to record in sync. We would like to perform gait analysis in clubfoot patients. Which software would you recommend for Kinect v2? Is it possible in Pro Body v2 to analyse angles? I.e. between forefoot and shin (Tibia), or between shin and thigh (Femur), or between thigh and pelvis? Is it possible, that instead of the hand, the foot is more detailed? Yes, jointnangles (and positions) are exactly what it’s measuring and exporting. You may want to try opening up some of the example files from the trial download page and check out if that suits your needs. Do you have any plans to implement prop tacking for something like a Wii remote? That is something that is attractive about the iPi software, but your software does look better in other ways. There are currently no plans for this, but I will add it to the list. There are currently no announcements on Pro Face 2 yet. Keep an eye on the site and/or social media streams as I will definitely do a public beta once the most important features are in a usable state. is Brekel Pro Face will support Kinect v2 too ?? Pro Face 2 is still in development and will go through a separate Beta cycle at a later date. Do you plan to bundle ProBody2 + ProFace2? Sorry there are no bundles anymore.